When Al Gore described climate change as an inconvenient truth, it was a mamoth understatement. In fact, it is more like a perfect storm. As I argued last week, a huge number of obstacles make it near impossible for humans to engage with the issue. Many of these relate to the very nature of our brains. We are brilliant when dealing with an immediate crisis like hurricanes, but largely paralyzed when facing a slow motion threat like climate change. I also introduced a framework in which to think about these barriers, namely the Five D’s: Distance, Doom, Dissonance, Denial and iDentity. This week, I will briefly touch on a number of other hurdles, which together point to the enormity of the challenge. The bottom line, however, is that we have at most 20 years – at current worldwide emission rates – before runaway, catastrophic climate chaos will be unavoidable. 2. Scant media attention: People who limit their information on climate change to traditional media like television, radio and newspapers have little sense of the urgency of the situation. The media works with our politicians to take the edge off the climate crisis. For example, pundits talk non-stop about the Trans Mountain pipeline fiasco, but make no mention of climate change. It’s only about the jobs at stake and how building the pipeline is in the national interest. There is implicit denial that a life-threatening situation is at hand. Hurricane Florence is another good example. Watching CNN, I heard no mention of climate change as a proven contributor to the intensity, size and slow motion advance of this storm. To be fair, the CBC, the Globe and Mail, the Toronto Star and the Peterborough Examiner have greatly increased their coverage of the issue. Weather reporting is even more problematic. Take The Weather Network, for example. Why isn’t there a dedicated, daily segment for climate change-related stories and basic climate education? The only time it’s ever mentioned is on their News segment. Is the reason because the depressing message would drive away listeners and alienate advertisers – car manufacturers, for example? Daily weather forecasts don’t mention climate change, either. For example, there is never a comment comparing recent temperatures to the long-term normal and framing this in the context of climate change predictions proving accurate. We should be hearing statements like “Peterborough had four times as many 30+ C days this summer as usual. This is predicted to be the new normal by the 2030s.” All we hear is how wonderful all the heat and sunshine are. 3. Politics: The policies and actions of politicians such as Donald Trump and Doug Ford make it clear they don’t take climate change seriously. This attitude makes people feel we’ll be fine doing only a bare minimum – or nothing at all. When faced with a choice between economic growth and environmental responsibility, politicians invariably choose economic growth – the worldview of most voters and donors demands it. Trudeau’s policies send mixed messages, as well. He seems to be saying that we can reduce carbon emissions while increasing the extraction and exporting of tar sands oil. He concluded that the only way to get Alberta on board with a pan-Canada price on carbon is to push forward for a pipeline. In terms of political realities, he may be right. However, climate change will not abide a “politics as usual” approach. We are facing a situation akin to wartime. 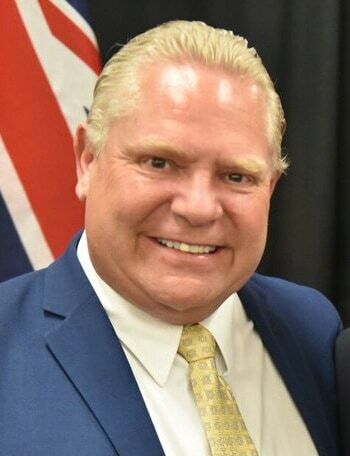 The policies of Premier Ford are even more damaging. He has no known plan to address climate change and is quickly dismantling the many excellent programs brought in by the Liberals. Like Trump, he has framed climate change as politics of the left. Therefore, in an increasingly tribal mentality, more and more Conservatives are against any action as a basic principle. 4. 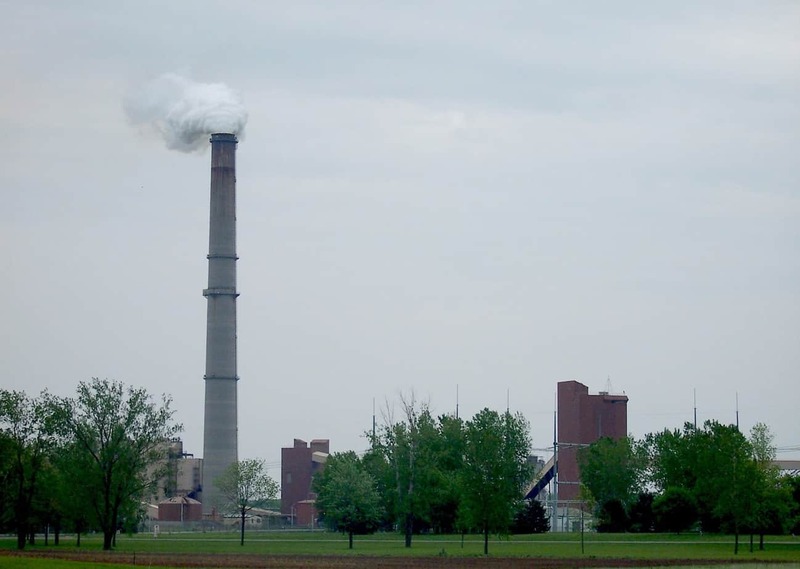 A successful denial campaign: The blatant lying from the fossil fuel industry, which continues to willingly and knowingly suppress the truth about climate change, has been tragically effective. The tobacco industry used the same strategy to great success. By stoking fear, uncertainty and doubt, they have succeeded in delaying aggressive action. The difference is that most smokers only killed themselves. 5. Economics: Right wing politicians have been increasingly successful in framing initiatives such as a price on carbon as a tax grab. Consumers want low prices and a wide variety of choices with minimal government interference on our consumption behaviours. To make matters worse, the portfolios of many investors, both individuals and organizations, are heavily concentrated in fossil fuels. People expect profitable returns, so these companies have a mandate to deliver growth and profits. We therefore accept greenhouse gas pollution and ecosystem destruction as the necessary requirements of economic growth. In a modern world so disconnected from nature, environmental protection is almost seen as an expensive luxury. 6. Distrust of experts: Public understanding of science and the scientific method is poor. There is also a widespread perception that no single opinion is better than any other is – even when it comes from the scientists themselves. 7. Faith in a technological fix: There are also people who assume some technological fix will solve the problem. However, there are no technological solutions under development, which can be perfected and implemented rapidly enough to avoid runaway climate change. Getting off fossil fuels is the only solution. 8. Our schools have failed: Our education system does an abysmal job addressing environmental education. Part of the problem, however, is an absence of pressure from parents to make it a priority. Most schools won’t even let the kids play outside anymore when there’s the least issue with the weather. Add to this the inordinate amount of time children spend in front of screens along with their over-scheduled lives, and it’s little wonder that the natural world has become a foreign entity. Students therefore grow up with the illusion that modern society is only tangentially dependent on nature and a stable climate. 9. The internet: Social media has made it possible – almost to the point of an addiction – to connect daily with like-minded people who reinforce our perceptions and worldviews. You can simply “unfriend” or no longer follow people you don’t agree with. This happens to me all the time on Twitter when I tweet about climate change. The internet is also chocked full of pseudo-science and right wing websites that deny climate change in the first place. Our lack of critical thinking skills and science literacy makes many of these sites appear legitimate. 10. Limited options: The number of ways an individual can act, either personally or publicly, seems – on the surface at least – to be limited. This results in a perceived lack of control. “What can I as one person do? Even if I do everything I can, it won’t make a difference.” There is lack of opportunities for civic engagement – rallies, for example, are not everyone’s cup of tea. There is also the attitude that once politicians are elected, they aren’t going to change their mind no matter what public pressure is brought to bear. Tragically, Doug Ford is proving that perception right now. Individual action can also seem meaningless, since we have reached a point where only a collective, political response will make a difference. 11. Culture and religion: Many Canadians grew up in a country that didn’t have the luxury of worrying about environmental issues because of poverty and the huge challenge of simply surviving from day-to-day. For these people, worrying about climate change might still seem like a luxury. Less understandable, however, is the attitude among some Evangelical Christians. According to a 2014 survey from Forum research, climate change denial is higher in this group than any other sector of the Canadian population. 12. Young people: Numerous surveys have shown that young people care deeply about climate change and are better informed than most of the population. However, they also suffer from higher levels of anxiety than any previous generation – and, for good reason. They deal with job insecurity and fear for the future on multiple levels, environmental devastation being one of them. It’s therefore understandable that some believe that the generation who created this mess – Baby Boomers like myself – ought to be held accountable and take the lion’s share of responsibility. Many teenagers and millennials also see climate issues as intimately bound up with issues like poverty, civil rights and the exploitation of people and land. 13. The emotional impact: An increasing number of people suffer from an overwhelming sense of grief, mourning, anger and confusion caused by an acute awareness of environmental destruction. This anxiety and despair helps explain why some choose to avoid engaging with climate change at all. It’s simply too much. If such feelings go unacknowledged, however, they too can thwart action. Despite this litany of impediments to action, exciting new approaches to breaking the logjam are on the horizon. These range from incorporating indigenous knowledge and values into education, to new strategies to bridge the political divide. Only through collective, political action can this problem be solved. To be continued.